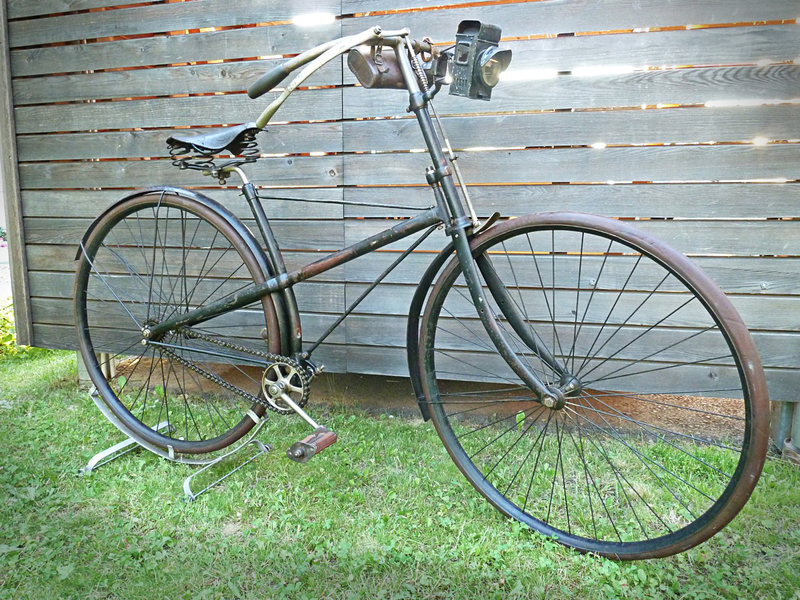 This is a Brennabor Modell 0 crossframe safety bicycle, built in 1892 by Gebrüder (brothers) Reichstein from Brandenburg, Germany. 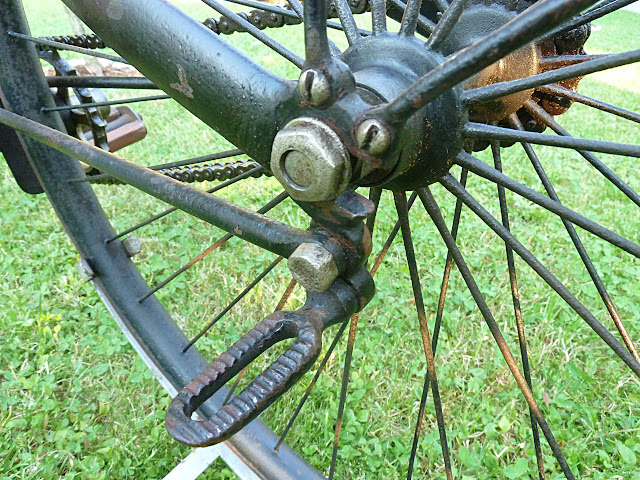 It has the framenumber 365 and 3 beneath it. The bicycle was the cheaper and smaller modell in that year, for men up to 70 kg weight. It was available with small 3/4" (front) and 7/8" (rear) wheels, both 1" wheels, both 1,25" wheels with cushion tires or with Dunlop-Pneumatic-tires. 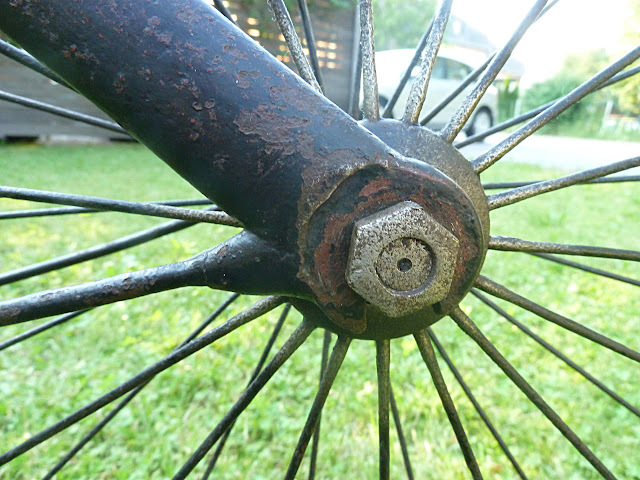 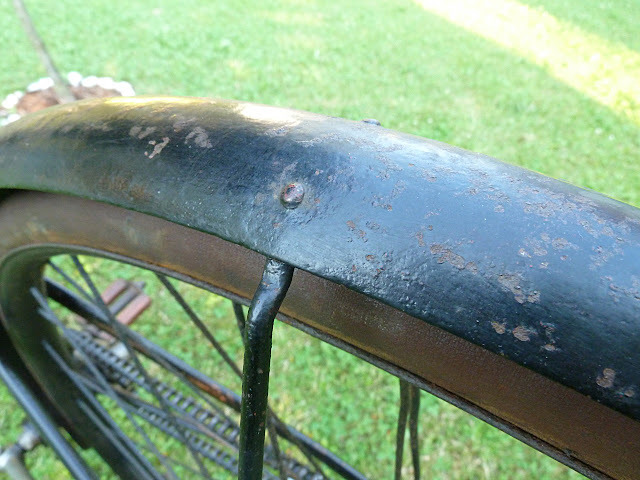 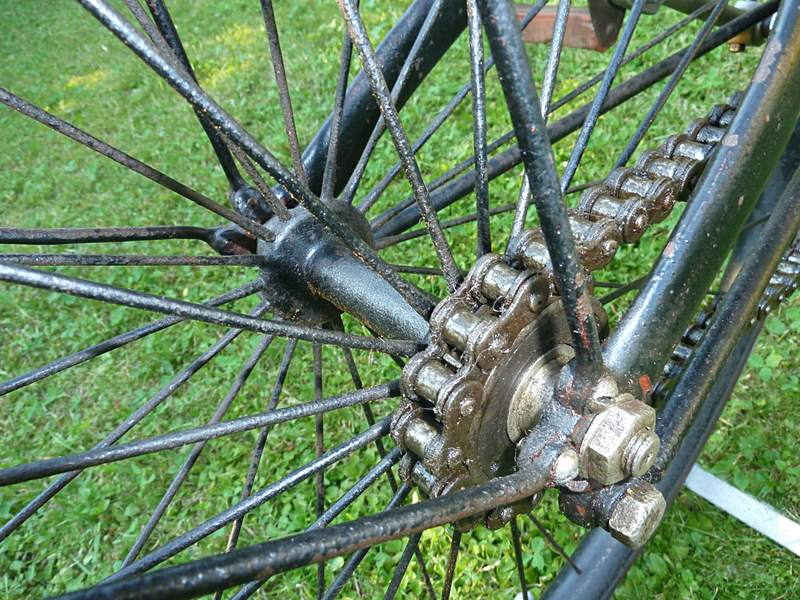 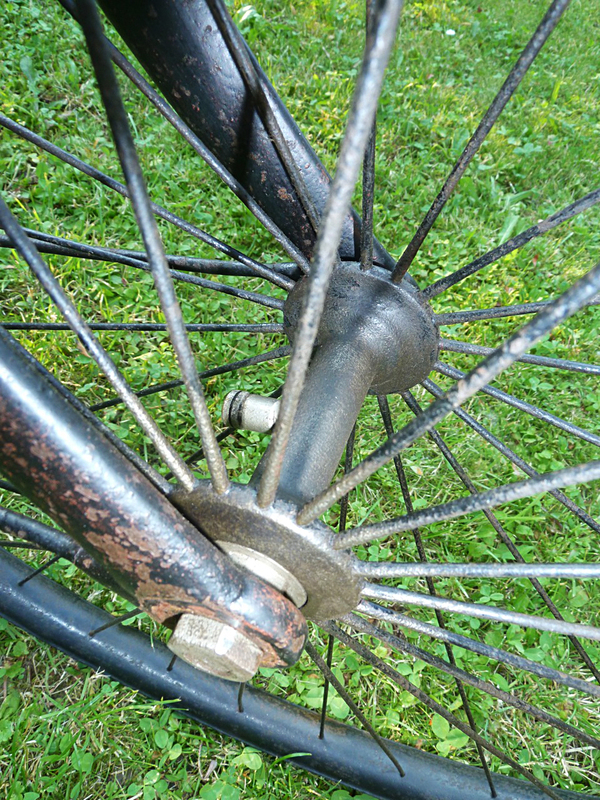 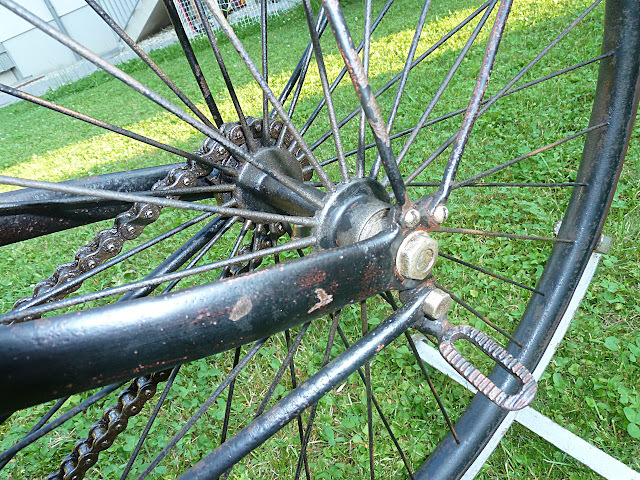 The shown bicycle has the 1,25" rims for cushion tires, now its equipped with rubber tires. 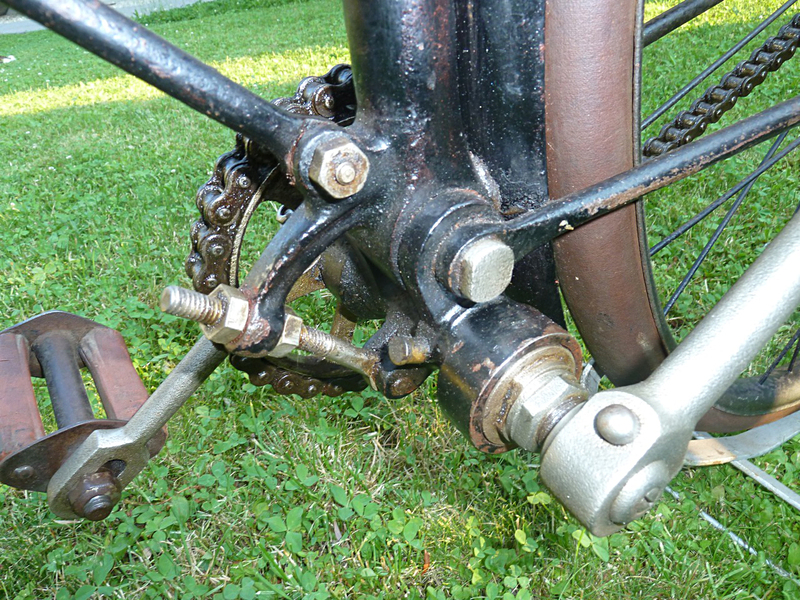 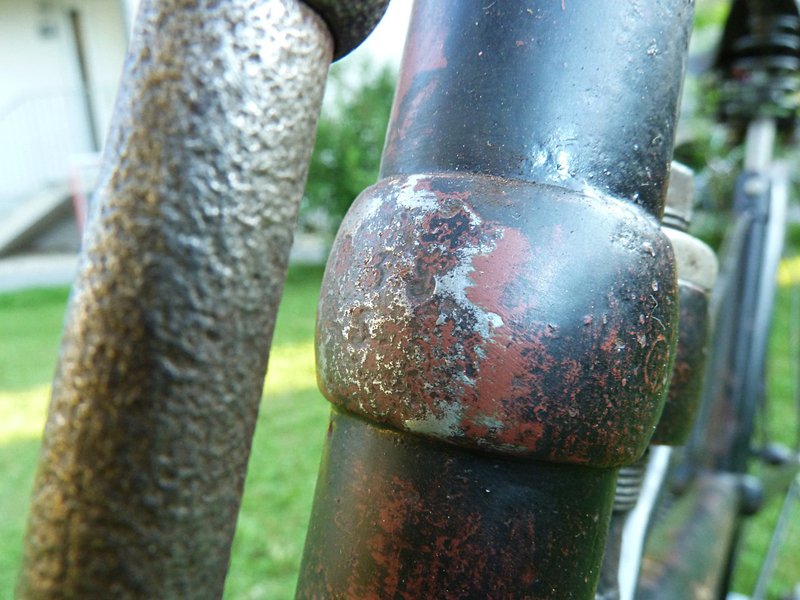 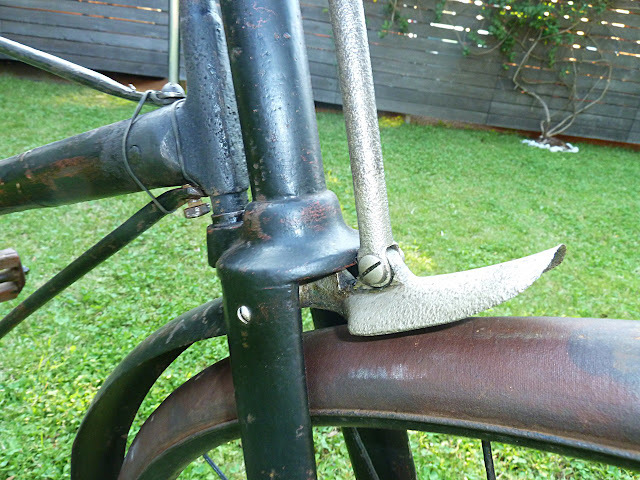 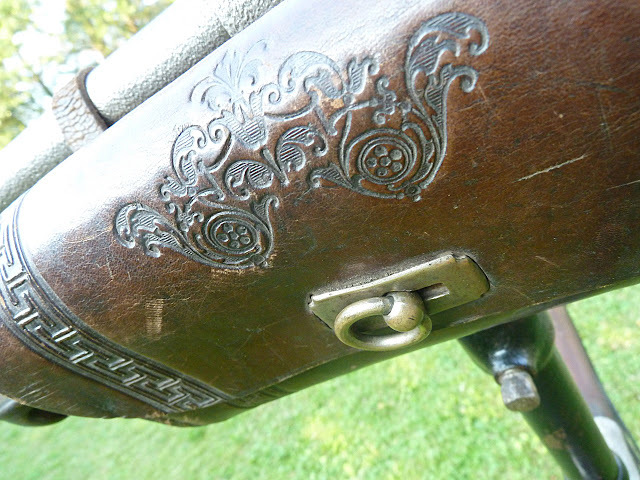 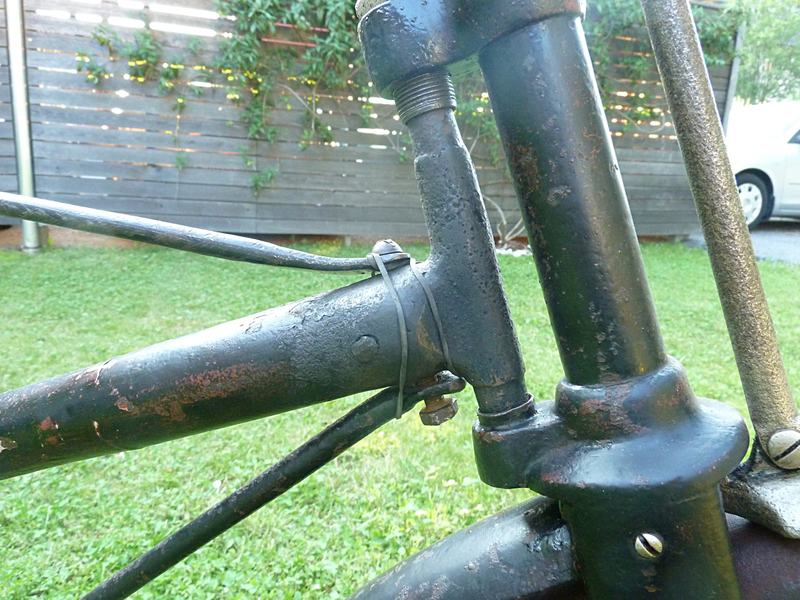 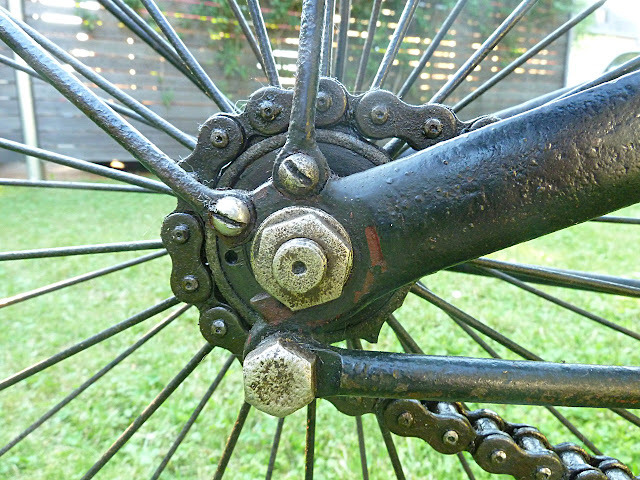 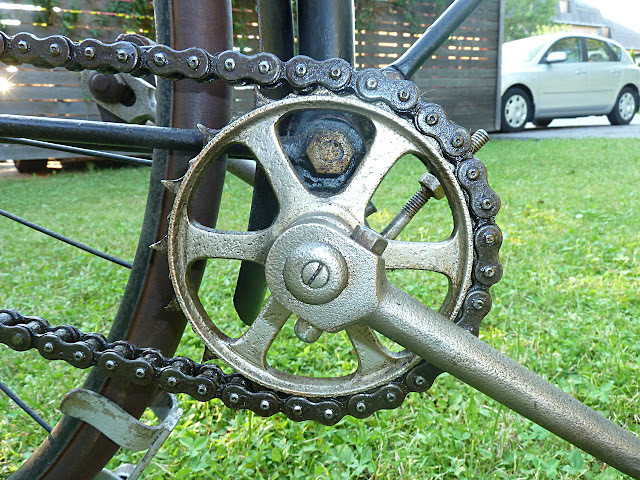 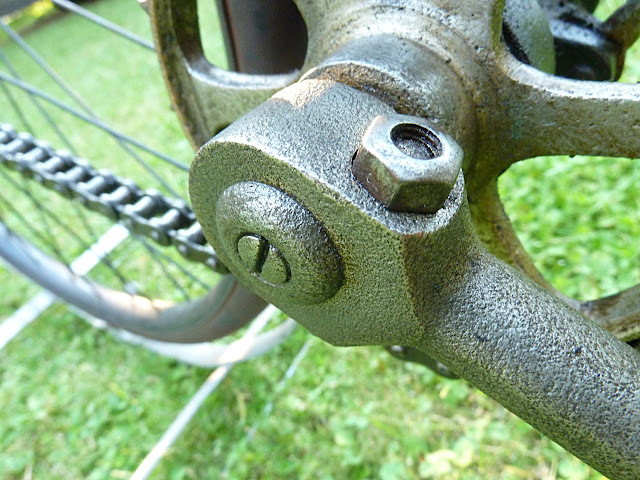 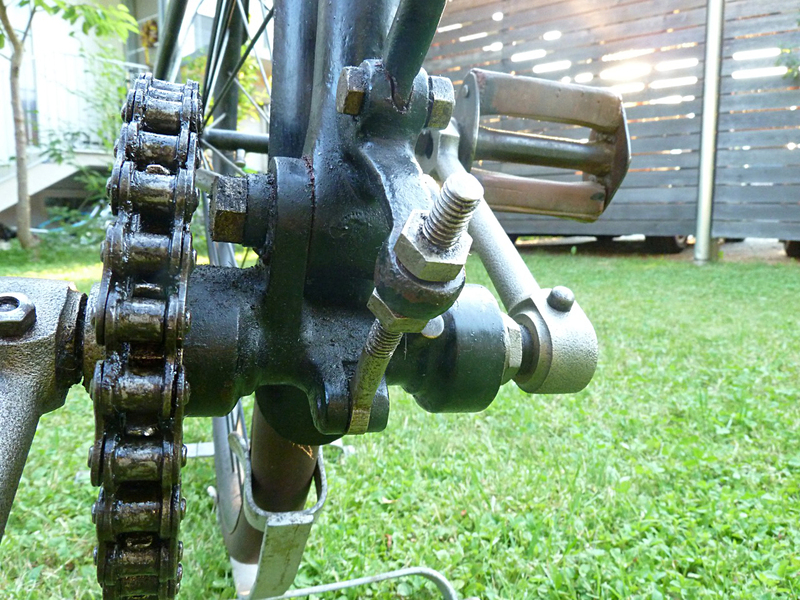 Colour is partly not origin anymore but in a nice condition, pedals match that year but are not origin with the bicycle and at the neck it once was repaired but its almost not visible. 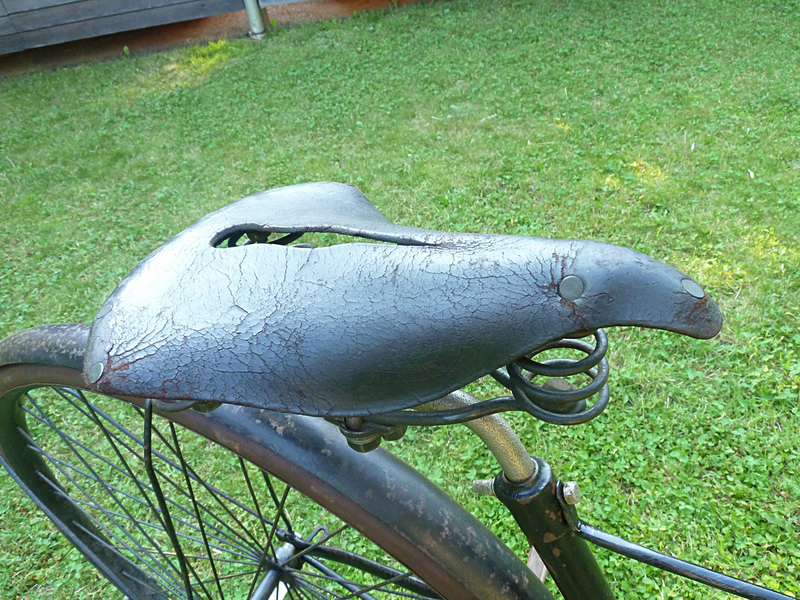 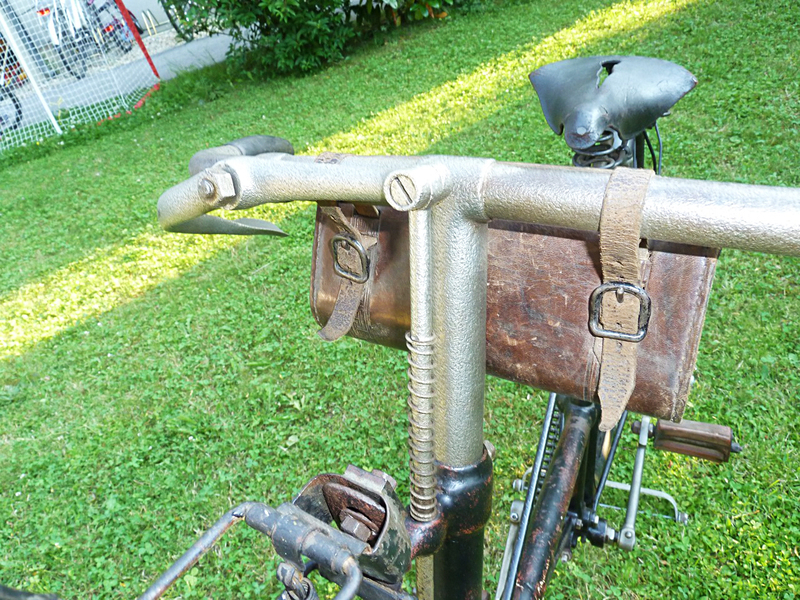 Its is rideable but the origin saddle doesnt like that :) The chain is wrong too, but works well. 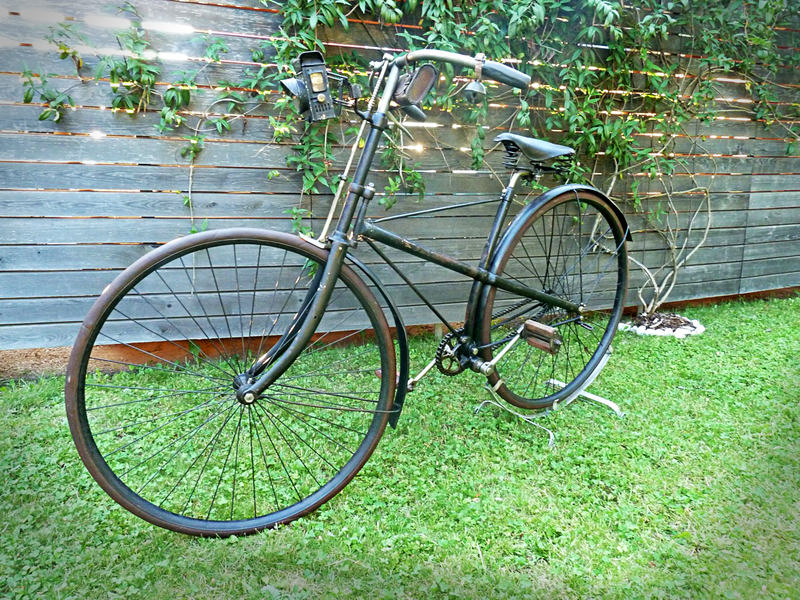 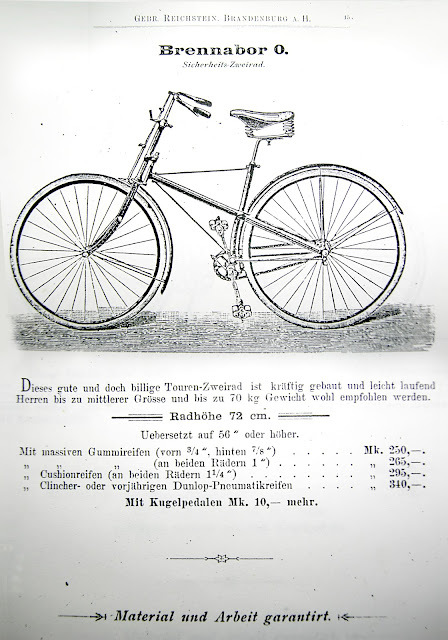 Gebrüder Reichstein started to assemble ordinary bicycles with parts from UK in 1882, in 1883 they already built their own bicycles, copied from british ones. 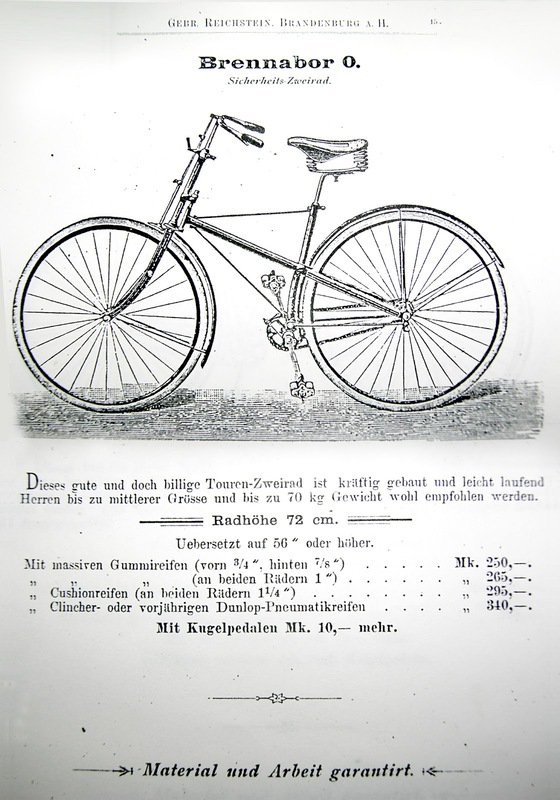 1888 the name Brennabor was used for the first time as a brand for their bicycles - introduced at the national bicycle-fair in Leipzig.